Cape Town's leading K53 based and fully accredited driver training provider / driving school. He and She offers driving lessons and after licence courses in Cape Town and Johannesburg. We offer professional driving lessons form Code 08 - Code 14. We also offer a wide range of after licence courses to improve driver's skills towards becoming a professional driver. As a driving school, we strive to offer our clients the best possible driving lessons experience. We try to provide a comfortable and safe driving lesson experience. Feel free to have a look at all the courses we have to offer. HE AND SHE IS HIRING! We are currently looking for FEMALE Code 08 instructors to service our clients in the Northern and Southern suburbs. Sign up to our e-mail newsletter to recieve the latest in promotions, package deals and learnership/skills program anouncements. He and She Driver Training Centre has been the longest running and biggest private owned driver training centre / driving school in South Africa. He and She is Cape Town's oldest and largest driving school with currently 48 cars, 17 trucks and 66 facilitators, 30 assessors and 5 moderators. We have been the #1 choice when it comes to driver and operator training. We are expanding throughout South Africa offering driving lessons and working with other driving schools to offer a large portfolio of post licence driving courses. These courses are essential with regards to upskilling and improving professional drivers in Cape Town and Johannesburg. Advanced driving teaches a driver to drive safer with the aim to save lives, spare time, concentrating on vehicle empathy and adapting their driving style to the changing conditions around them. This is all done while predicting and assessing the actions and intentions of other drivers. An Advanced driver is a driver who strives to improve his or her method of driving. No matter how much experience the driver has, there is always something he or she could learn to improve on their driving style. Advanced driving requires the driver to constantly assess their driving ability. Identifying shortcomings to improve their driving habits and ultimately implementing the changes to their driving style. A good driver has the ability to remove emotion from driving, leaving space to create time for correction and anticipating hazards ahead. The driver needs to constantly assess their surroundings and adapt their driving to mitigate the possibilities of an incident. Advanced driving requires the driver to assess his or her current situation, look ahead and use their imagination to make calculated predictions, anticipate sudden changes in their driving conditions and act accordingly. This requires high levels of concentration throughout their journey. Our system is developed to combat boredom by keeping the driver scanning his surroundings and constantly plan ahead. Keeping them free from distractions and always being on high alert. Through the years of driver training our driving instructors have experimented, documented and focused on developing the techniques used while training in order to provide you as the client with the best learning techniques. Our instructors, assessors and moderators are subject matter experts who have years of experience in driver training. Each instructor facilitates in their field of expertise and constantly strives to develop and improve the content that is being used when doing training. 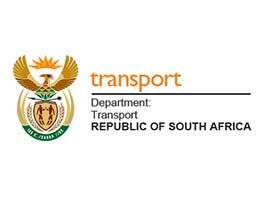 Established in 1969 as a leading provider of comprehensive and cost effective supplier of driver and operator training, to address the training needs of clients in the transport industry. A strong and specific focus on driver training was and remains a key objective, which has resulted in the development of a wide range of provision and delivery to suit the client. This extensive portfolio of training and development product, gives clients the flexibility to choose the approach most suited to their business needs. 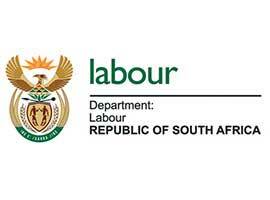 This is delivered by a team with the appropriate skills and industry knowledge, who operate from offices in the Western Cape and Gauteng. We do however, deleiver to clients through out South Africa. Our business has grown rapidly, developing our business to a large number of clients and delivering certified and non-certified learning, skills programmes and learnerships in many locations within South Africa. The ethic of responding to each customer needs, irrespective of size, have ensured that He and She retain loyal, satisfied customers over 47 years. 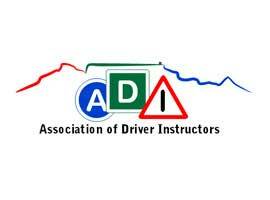 66 Driving Instructors supplying driving lessons and other driver training courses on a full-time basis. 14 Lifting equiptment instructors supplying lifting equipment training on a full-time basis. 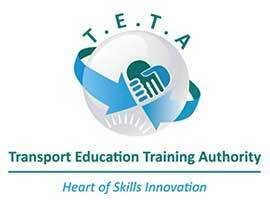 30 Qualified and registered assessors with TETA. He and She Driver Training Centre is situated next to Parow Station and opposite the road from North Link Collage Parow Valley.